Owned and operated by Christine & Lance, for the past 18 years, Lazy Lobster Holiday Units are a small family business that offers tidy affordable, clean & comfy accommodation, with old fashioned personal service. Lazy Lobster Holiday Units & Chalets are set amongst mature tuart trees with extensive lawn areas, for the children to play. Ideally set up for families, couples. BBQs on site, with plenty of parking for boats, trailers. 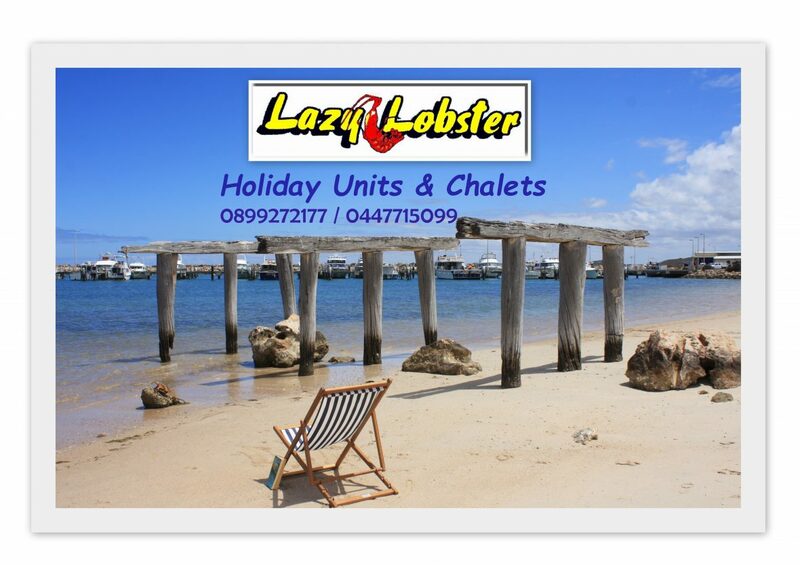 Lazy Lobster Holiday Units are located one street back from the Marina, sheltered from the sea breeze & traffic. Only a 2-minute stroll to Granny’s swimming beach or marina, with the cafe, bottle shop, deli, supermarket, Southerly’s Tavern for your convenience.